Step 1: in the first place, go to the Settings menu on your Android. There, you’ll find the Security option and a checkbox labelled as Unknown Sources. You have to check this box to be able to download applications from sites other than Google Play, as is the case of Malavida, for instance. 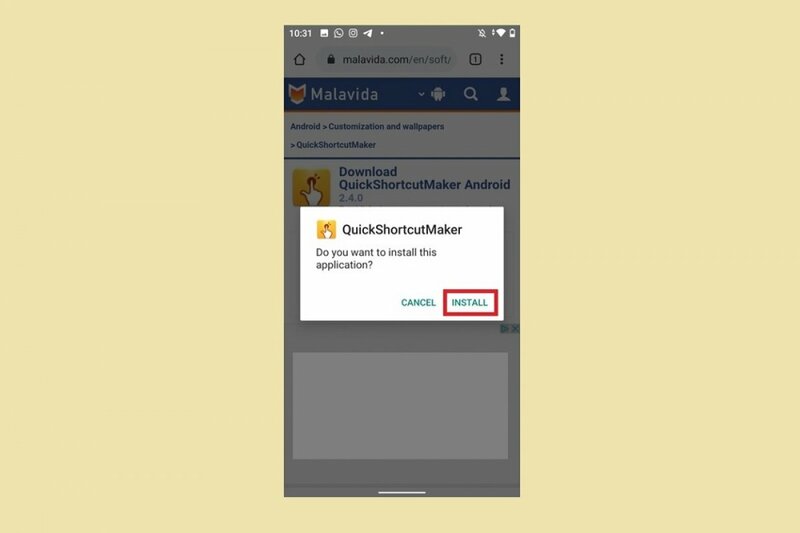 Step 2: now go to Malavida, and in the Android section, search for QuickShortcutMaker. Step 3: click on the green Download button and follow all the steps to download the APK file to your device. Step 4: once the file has been downloaded, you have to open it. For such purpose, you only need to click on the notifications tray or navigate to the operating system’s download folder. Step 5: once you’ve done so, just follow the steps indicated. Once finished, the application will be ready to be used, also being able to delete the APK from our device’s memory so that it doesn’t waste any storage space. Step 1: go to your Android’s Settings menu and look for the option to manage applications. Step 2: search for QuickShortcutMaker on the list of installed apps and click on its icon. Step 3: now simply hit the Uninstall option, confirm the action to be carried out and wait for the process to be completed. The application will soon be removed from the system.